I’m happy to be once again sharing ideas as part of a three-day blogging series with some of my favorite friends and bloggers–Ann from My Nearest and Dearest, Jessica from Play Trains!, Chelsey from Buggy and Buddy, and Mary Catherine from Fun-A-Day. Based on the weather in North America, is it really any surprise that this time our posts are all about summer? 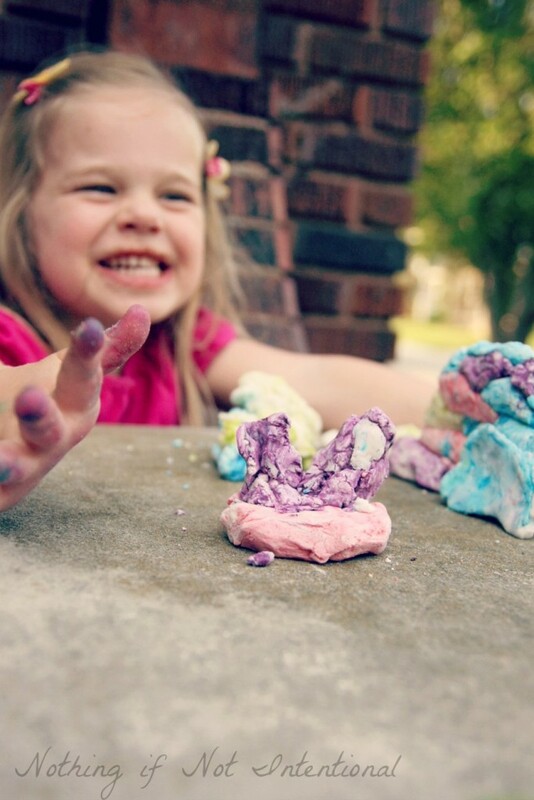 For today, I wanted to share with you a play recipe that my three-year-old has been asking to make again and again–sunshine clay! As always, affiliate links included for your convenience. And then she got busy building. 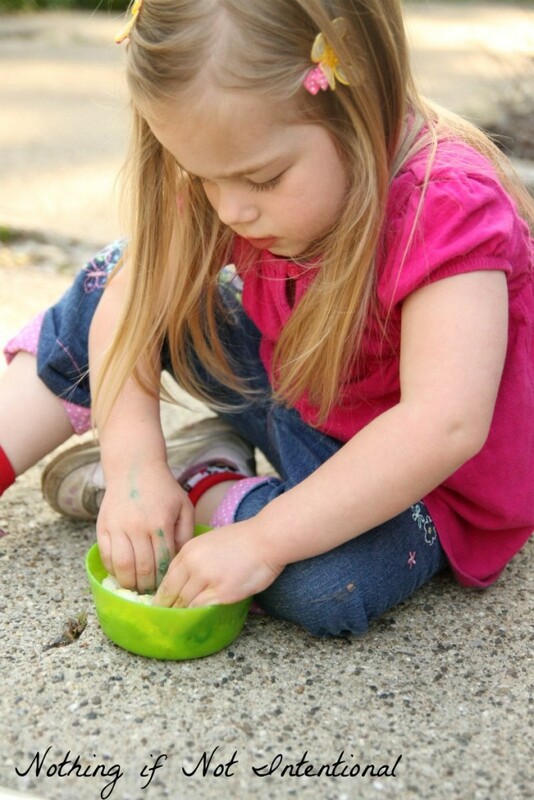 She made worms, spiders, a wall, and a house. She’s really into building houses these days. Our first batch was a little lumpy (as you can see in the pictures above), so the smoother recipe is the first one listed below. 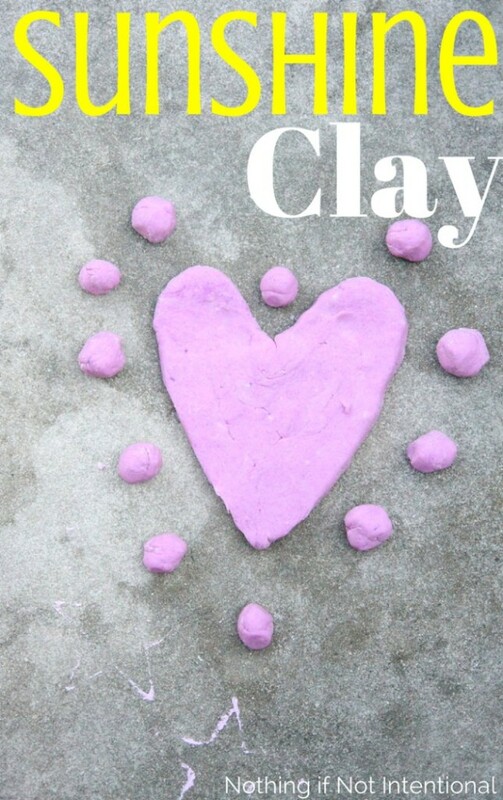 Taste-Safe Sunshine Clay Recipe–Two Ways! Heat the ingredients on the stove until a thick, stiff, not-too-sticky dough forms. Stir in the food coloring. Mold into desired shapes. If it’s too lumpy and dry, add more water. 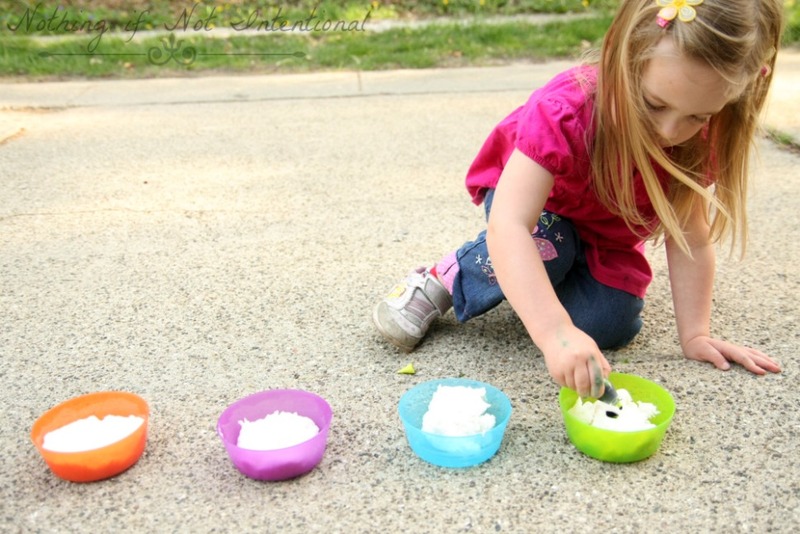 If it’s runny or sticky, add a bit of cornstarch. I wasn’t very exact with my measurements (I never am! ), so feel free to modify and play around with the proportions. The original recipe used baking soda instead of flour, but I found it to be rather lumpy. On the other hand, it turned out to be harder and more clay-like, so it may be preferable for your family! However, the original recipe is a classic for a reason! You know what goes great with sunshine clay?! The perfect summer smoothie! Get the recipe here. Before you leave, pop on over and see what my friends are up to this summer! Toy Surfboard Craft for Kids from Play Trains! 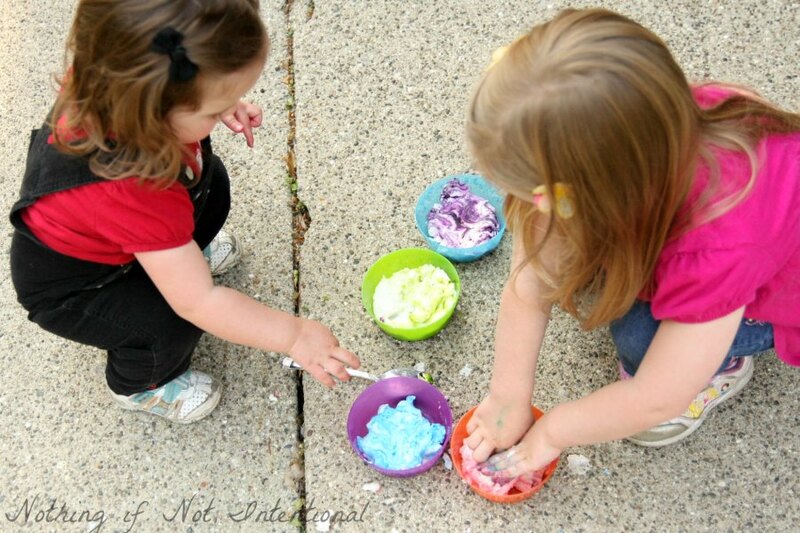 Pingback: Summer Art for Kids - Colorful Shell Sculptures - Fun-A-Day!